In July of 2018, I traveled to Madagascar to participate in my very first field project to care for radiated tortoises (Astrochelys radiata). At least 10,000 of these critically endangered reptiles had been confiscated from poachers several months earlier. Since then, led by the Turtle Survival Alliance, a number of organizations dispatched medical teams to assist in the rescue. Wildlife Conservation Society responders included veterinarians, veterinary technicians, keepers, and maintenance staff. 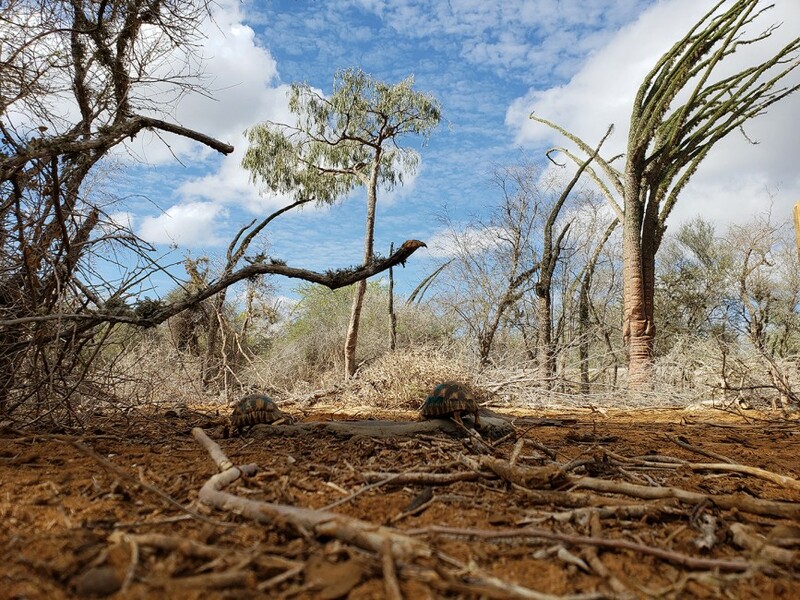 When my group of six animal care professionals arrived, the tortoises had been moved to their final residence at the Lavavolo Tortoise Center located in the southwestern region of Madagascar. 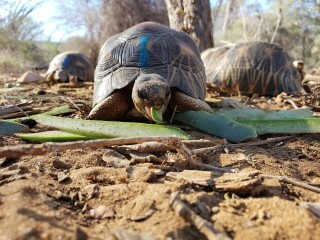 It is an area known as the Spiny Forest where the vegetation and terrain are well-suited for these tortoises’ recovery. While I was recruited for my medical background as a licensed veterinary technician with reptile experience, I shared a variety of the husbandry tasks as well. Every day at the tortoise facility started with team members bringing the known sick patients to the clinic for their daily soak, assessment, and treatments. 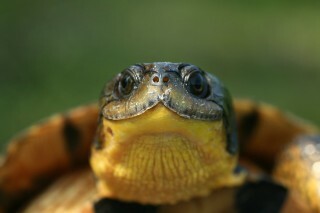 Many of the tortoises suffered from oral plaques which were painful and made eating difficult. Combing through the holding pens allowed us to find others that were weak, dehydrated, emaciated, or dead. This was the most important task of our entire trip. We reorganized the holding areas and placed the tortoises by size. Within each of these spaces, we built hospital pens so the tortoises could stay within their group with access to water, food, and sun more readily. With all these different tasks, we certainly had our work days full. EDITOR’S NOTE: Read Part 2 here. Thanks for your nice thoughts. 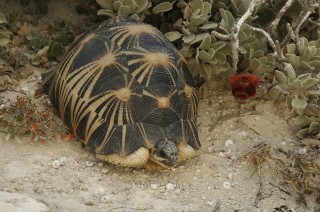 The radiated tortoise project was very important in helping this endangered species.